I've certainly seen dozens of pikas through the years, but this was a first (and still only) for me: a baby. Well, probably adolescent would be more accurate--it was maybe 2/3 the size of an adult. Jasper National Park, August 2017. Awesome Paul! Good to see you around here again. Good to see you, Paul, and I hope all is well with you. 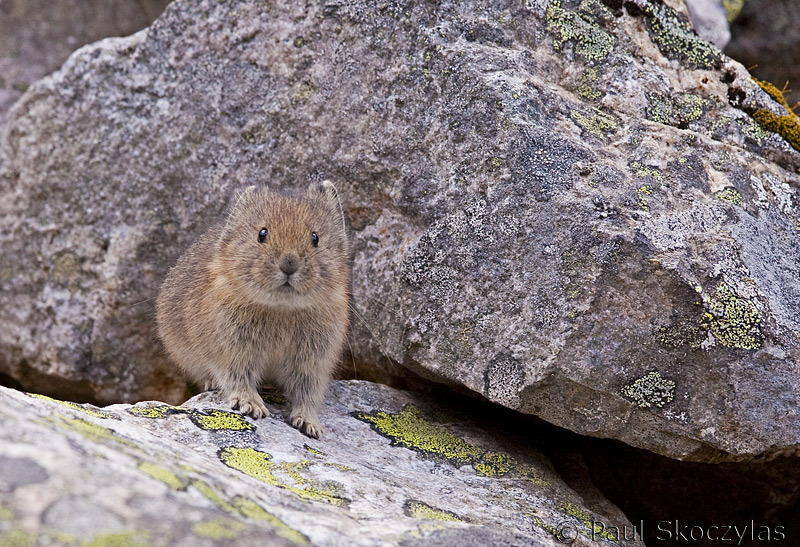 A sweet image of this young Pika tucked into its lichen covered rocks, and you can see its already got the Pika attitude! I can just hear their funny little 'squeak' call. Its a tough world out there for these little creatures. Very nice composition of natural habitat. Very cute -the environment adds a lot , with all those crevices to hide in. I hope it survives! Nice to see you here again.